After revamping most of its product lineup in 2011, Chrysler Group is gearing up to open the second act of its revival in 2012. Next year the automaker will unveil the first Chrysler Group-branded vehicle based on a Fiat platform and powered by a Fiat engine: a Dodge compact sedan that will replace the Caliber. 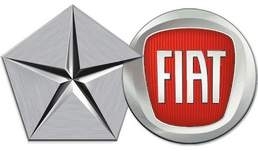 It's the most important vehicle in the revival because it will demonstrate how well engineers can adapt Fiat's European technology and platforms to North American tastes. Company engineers created the platform for the Dodge sedan by lengthening and widening Fiat's high-volume compact platform. The modified platform, called the CUSW for Compact U.S. Wide, will spawn a range of compact and mid-sized vehicles for Chrysler, Dodge and Jeep. The Dodge sedan will compete with the Ford Focus, Honda Civic and Chevrolet Cruze in a crucial segment where Chrysler has not been competitive. Chrysler Group customers, long accustomed to big cars with powerful, gas-guzzling engines, will be in for a big change in the next couple of years. The company will offer two families of four-cylinder engines with available turbocharging and a range of fuel-saving automatic transmissions, including an eight-speed, a nine-speed and a six-speed dual clutch. Could diesels be far behind? The company isn't saying. Chrysler, formerly off the radar screen of customers seeking eco-friendly transportation, is trying to make a case that it deserves serious consideration. How well the company executes this next generation of Fiat-based vehicles will determine how compelling Chrysler's argument is.